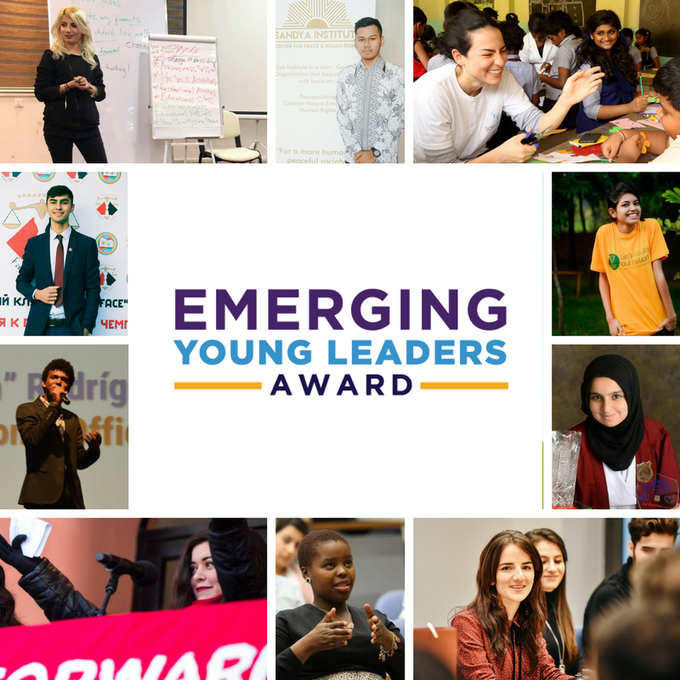 The Emerging Young Leaders Award Program recognizes youth around the world for their efforts to create positive social change. Annually since 2016, Legacy International has facilitated the Emerging Young Leaders Award and Exchange Program on behalf of the U.S. Department of State. Young people from around the world are nominated by their embassies and ten are chosen by the State Department to receive this prestigious award. As part of winning the award, the Leaders travel to the U.S. for two weeks and take part in job shadows, professional development workshops, cultural activities and exchange opportunities as well as one-on-one mentorship with professionals in their industry or working with their cause/issue of interest. By investing in and connecting emerging leaders with networks, organizations, and resources that can bolster their efforts to enact positive change, we’re supporting a brighter future. In recognition of the positive role young people play in building sustainable peace, the U.S. Department of State is honoring outstanding young leaders from around the world. On Wednesday, May 2, the ten recipients of the third annual Emerging Young Leaders Award will be acknowledged in a public ceremony at the State Department for their efforts as partners for peace and drivers of economic growth and opportunity. Learn more about the award and exchange program. Follow the conversation online with #EYLeaders and @ECAatState.